Diwali is one of the biggest celebrations of the year. Grace your beauty and celebrate prosperity with the glitter of diamonds this festive season. This Diwali, Kama, would like to add sparkle to your celebrations. 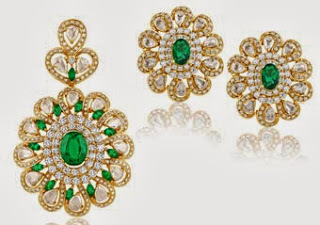 Kama presents an enticing selection of elegant bejeweled creations for Diwali. beautiful diamond bangles, cocktail rings and dazzling pendant sets, Kama’s festive collection of Rose Cut Diamond Jewellery promises to add a never before bling to your celebrations. Add to your celebrations with timeless and exquisite diamond jewellery from Kama. Fine mix of traditions and trends are handcrafted in 18k gold. This new collection combines the elegance of rose cut diamonds, brilliance of natural diamonds with the splendor of precious gemstones such as rubies and emeralds. 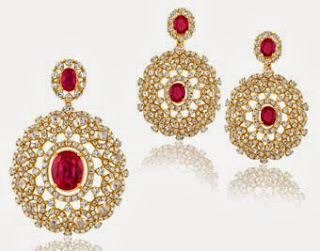 Every piece of jewellery the collection is splendor personified! The cocktail rings are a reflection of traditional grandeur and modern elegance with designs that touch upon traditional artistry and contemporary styling with equal ease. Replete with exquisite designs of pendant sets and necklace sets and superior craftsmanship, this festive collection spells graceful grandeur. With a price ranging from Rs.50,000 onwards, the festive collection will surely bestow you with everlasting radiance and is available at our retail store in Andheri East, Mumbai. Talking about his expectation from this festive season, Colin Shah, Managing Director, Kama Schachter said: “Diwali is one of the most celebrated occasions of the year. It’s a festival of prosperity, happiness and togetherness. Diamonds add sparkle to these celebrations. At Kama, we believe in offering jewellery that is timeless, stylish yet affordable for our customers. We would encourage our customers to look beyond Gold. Stunning jewellery with diamonds and precious stones will only add to the grace to the festive look. Keeping in mind the market sentiments we are cautiously hoping for positive increase in the sales this festive season. We wish all our customers a very prosperous Diwali”. Kama’s rose cut collection will not only add glitz and glamour to your celebrations but also make this Diwali the most memorable one. Adorn yourself with Kama’s stunning jewellery and begin the Diwali celebrations. Kama also presents Kama Milestones, a Jewellery Savings Plan to help you plan your jewellery purchases better. Choose a fixed investment installment in multiples of Rs. 3,000 per month and at the end of the period, Kama will add 2 installments. You can redeem the voucher by purchasing any diamond jewellery item in Kama boutiques or our web store. You can also shop online on www.kamajewellery.com to choose from an array of diamond studded gold & platinum rings, pendants, bangles, earrings, pendant sets and more.